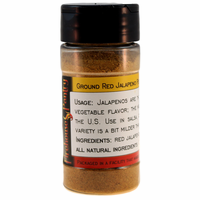 Red jalapenos are thick-fleshed peppers with a hot, ripe vegetable flavor; the most widely used chile pepper in the United States. 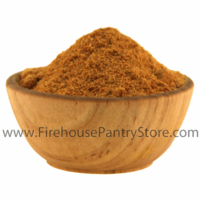 Add to salsa, chili, soup, stew, salad dressing, and sauces or use in rubs for meats, poultry, and fish. This red variety, made from ripe peppers, has a slightly milder flavor than its green counterpart. We love it in chicken burgers, along with lime zest, cumin, and cilantro for a spicy, citrus-infused sandwich. Ingredients: jalapeno pepper. Packaged in a facility that handles wheat, milk, soy, egg, peanuts, and tree nuts.